hey @staff how about new ’ 2019 ’ thread !? 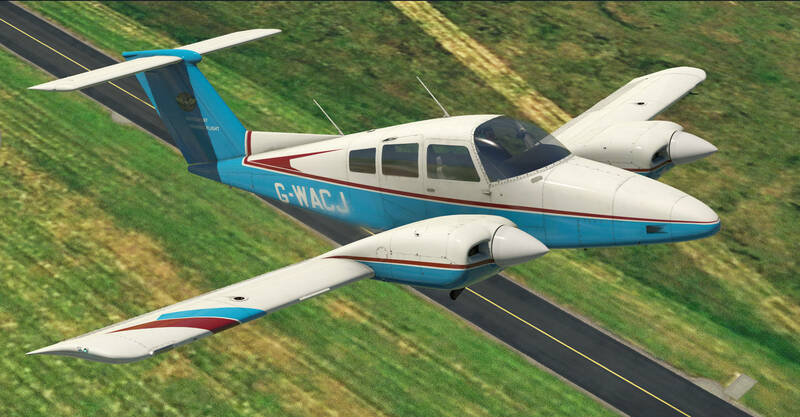 Superb new X-Plane 11 Duchess Model 76 from the Just Flight development team - on sale now! How different is X-Plane 11’s helicopter flying compared to FSX? Or DCS? MSFS helicopters suffered for years and were never able to really depict a twin jet engine helo properly. Developers seem to ave gotten through some of that with the Dodosim B206, the Aerosoft Huey X, Milviz’s Hughes 500 and the ND/Milviz Chinook. All overcame many restrictions somehow. But still. IMHO, the DCS Huey and Mi8 in VR with a Gametrix Jetseat is the best helicopter experience available right now. The X-Plane helos are good but they feel a bit too smooth. Still fun to fly though, and there are some fun environments to fly in helicopters with X-Plane. It’s been so long since I have flown FSX that I can’t really comment on helicopter flying in that sim. IMHO, the DCS Huey and Mi8 in VR with a Gametrix Jetseat is the best helicopter experience available right now. The X-Plane helos are good but they feel a bit too smooth. Going to check this out later today. 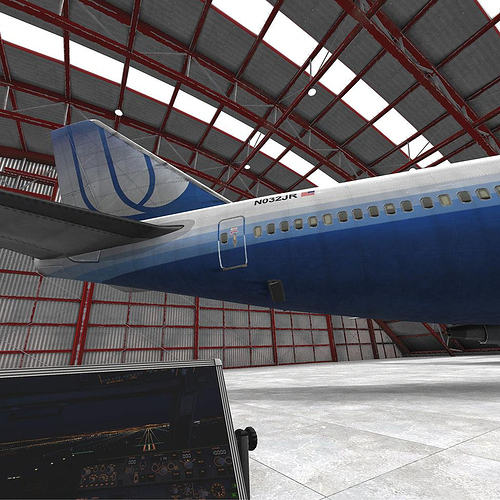 A little mod to add a high definition 747 to your VR hangar. That low res 747 always bothered me because…ya’ know…VR is cutting edge, why are we looking at what looks to be an inflatable 747?? This mod will make your virtual hangar with a HD 747-400 located on your right. By default, the resolution is very blurry and low and see a lot of pixel. Those two DDS files will correct that and you’ll have a 4X better resolution (no impact on FPS). It’s for X-Plane 11 (live or beta). I’m fairly new to XP11 and I’ve only really used it for training at the moment. No long flights or big jets really. Could anyone recommend a place to get some decent aircraft to play with? 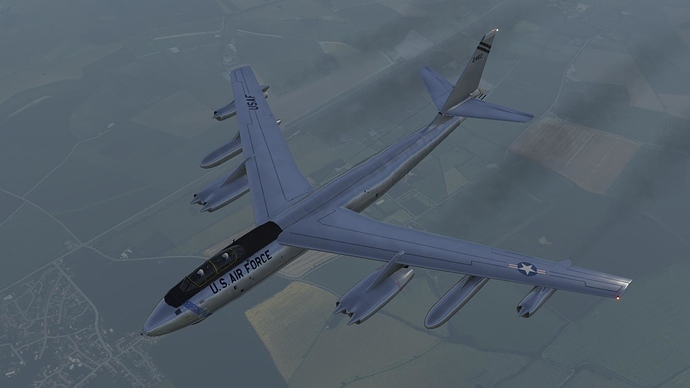 I’ve had a brief look around but other than the xplane forums I’m struggling to find decent stuff that isn’t XP 9 or 10 planes. X-Plane.org is the place to go for both freeware and payware. Hold onto your wallet if you go browsing through the store though . Oh, and another word of caution when buying stuff on “the org” store… make sure that what you buy explicitly says it is X-Plane 11 compatible. There is a lot of older stuff on there that may or may not work well. I have the 737-200 and it really is quite nice. Steam gauges everywhere! Keep an eye on the Specials page too… there are often some great deals to be had. Tbh that 737 sounds perfect for me. I try to stay away from anything that does any calculations for me in civil sims. Old school Crp 1 and paper all the way. Virtavia have released their B47 for X-Plane. This is a port from their FSX version. I’m a sucker for anything from that era, and so I picked it up. Considering it is an old 3D model, it looks pretty good. The cockpit is nice enough in VR, apart from the fact that the default VR head position is somewhere aft of the cockpit and well below the aircraft. Once you slew it to where your head should be then it looks ok. The aircraft feels heavy in roll and pitch, but seems a bit too slippery as it is a real challenge to get her slowed down. I do like the slow engine spool up time. You have to stay well ahead of the power curve. Anyway, it’s ok, if a little over priced ($20) for what it is. YMMV of course. Well then, I guess they got that right. You have to land flat. Pretty much level off just over the runway and just let the speed bleed off (which can eat up a lot of runway). 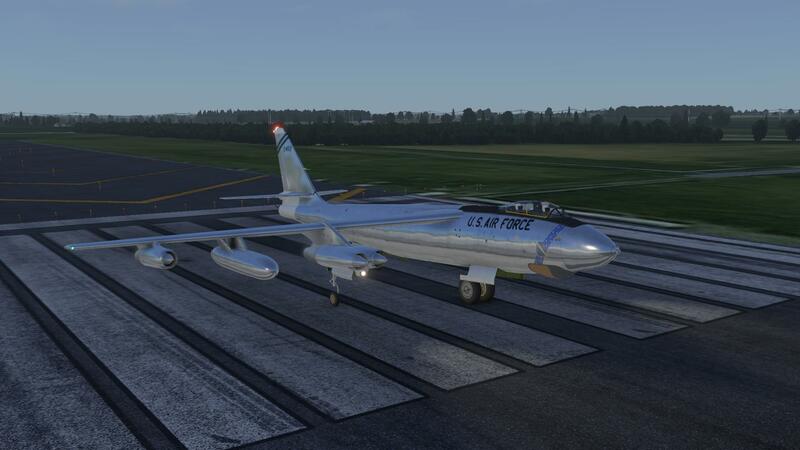 They have some other neat airplanes in their FSX inventory as well. Hopefully they will port them all across at some point. Regarding the B47, I fixed the default head position in VR by editing the B-47_vrconfig.txt file. With that out of the way, I’m actually quite enjoying it. The systems modeling is pretty basic, so it is a long way from being a study sim. It flies well though once you get a feel for it. X-Plane 11.30 RC 3 - Return of the Sun Flickering. Looks like they are sorting out that sun flicker @PaulRix - might be worth a try.